Russia's space agency chief said Saturday that it wouldn't accept a second-tier role in a NASA-led plan to build an outpost near the moon, but Roscosmos spokesman quickly clarified that Russia is still staying in the project. He noted that Russia was working to develop heavy-lift rockets that would allow it to build its own orbital platform near the moon, possibly in cooperation with some BRICS countries — a grouping that includes Brazil, China, India and South Africa along with Russia. A few hours later, Roscosmos spokesman Vladimir Ustimenko clarified that Rogozin didn't mean to say Russia was bailing out of the NASA-led project. 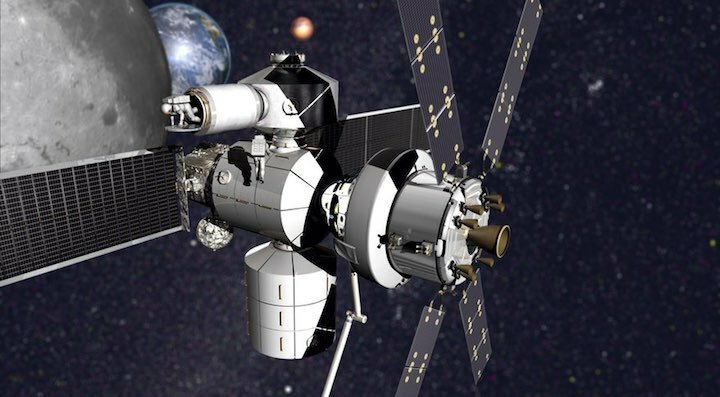 "Russia hasn't refused to take part in the project of the lunar orbital station together with the United States," Ustimenko was quoted by Tass as saying. He added "we stand for equal, partnership-style cooperation." Rogozin, who until May served as a deputy prime minister in charge of military and space, long had been known for his brash style and anti-Western rhetoric. He has failed to stem a decline of the Russian space industries, which have been dogged by launch failures and other problems.